1. How did you come to focus on Bolivia as an area of research? I became interested in Latin American social movements as a college student in the late 1900s and early 2000s. At the time, protests were erupting across the region, from Mexico to Argentina, opposed to neoliberal economic policies that were hurting the livelihoods of peasants, workers, and shantytown dwellers. 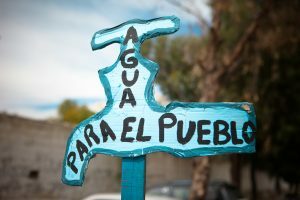 Bolivia came to my attention in April 2000 when the residents of the city and surrounding countryside of Cochabamba defeated an effort to privatize water supply and service. That same month, I took a bus with hundreds of other college students from New York to Washington, DC, to protest International Monetary Fund and World Bank policies that underwrote such privatization schemes. Oscar Olivera, the spokesperson of the Cochabamba Water War, as it became called, came to DC from Bolivia just days after the winning the fight there to speak at the rally. A few years later, in 2003, a similar social movement in the Bolivian capital La Paz–El Alto defeated another privatization scheme, this time of gas, and forced President Gonzalo Sánchez de Lozada to resign. As an activist and by then schoolteacher in New York, I was amazed that social movements in places like Bolivia were winning and became determined to figure out how and why they were so successful. That led me to travel to Bolivia for the first time in 2004, where I began to build relationships with activists and scholars that led me to research and write this article. 2. Your article draws on a unique source base, including private company archives and interviews on the ground. What special challenges did this source base pose? Historians often have archive war stories, tales of challenges, perseverance, and victory, and I am no exception. Personnel at the public water company SEMAPA at first told me that no archive existed there, but after months of a combination of befriending and pestering people there, I was finally led into an archive that had been there, right in the middle of the complex, all along. It even had an encargado, a staff member whose full-time job it was to oversee the archive. My contact and I found a locked glass cabinet in a dark back corner of the building where the documents appeared to be older than the rest. Another official gave us a bowl of dozens of keys to try, but none of them worked. At that point, my contact pushed the doors of the cabinet apart, successfully disengaging the cylinder lock and freeing many of the 1970s-era engineering studies that made this article possible. Another triumphal moment of my research was the day I received access to binders full of copies of agreements between the water company and urban neighborhoods and rural communities. I remember going on my motorcycle to the office despite being sick with a terrible cold so as not to delay (and possibly endanger) gaining this access. Another important source of some of these studies was the Cochabamba departmental planning office’s archive, half of which is beautifully organized and cataloged. The unorganized documents are stored in a separate, extremely dirty and dusty room that I dubbed the “chaos room” in my notes. Digging through these piles yielded many of the sources for this article. Without a few very generous folks at these institutions, I would not have been able to write the same article. The newspapers I draw on even more heavily are freely accessible in the municipal archive, which is good and the way it should be but means that there’s not much of a war story there (other than climbing four flights of stairs twice a day and enduring the cigarette smoke while pregnant to get to and use them). Interviews at various points over a five-and-half-year period were crucial to understanding the history and future of this project. In early 2011, when I began the research that led to this article, I spent several months conducting oral history interviews with residents of Tirani and other foothill communities on the northern outskirts of the city that won rights to mountain lakes through agrarian reform. These interviews and the documents that residents showed me were crucial for understanding the historical roots of current water property claims of Tirani and other rural communities. I also interviewed Empresa Misicuni officials around this time and went with them on a site visit to Misicuni, where I observed tunnel and dam construction underway. 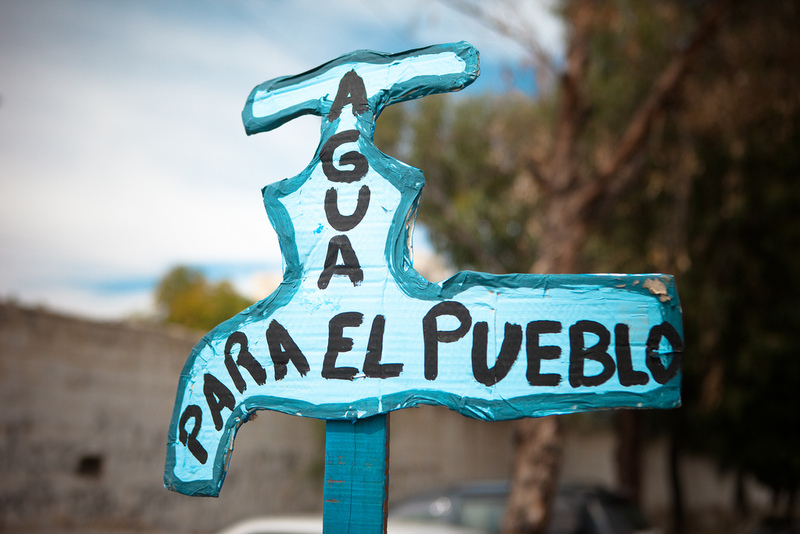 Their commitment to and faith in the ability of the project to solve Cochabamba’s water woes was striking. In 2016, a few months before the reservoir began to fill, I talked with Misicuni campesino union leaders and returned to the dam site and surrounding communities with a research assistant who knew the area well and had no connection to the company. These interviews revealed Misicuni valley community members’ frustration with the results of the project and their relocation as well as the hostility of many residents of neighboring communities that the next stages of the project threaten to flood toward the project’s expansion. The Misicuni church now flooded below the reservoir’s waters. Photo by Sarah Hines, July 2016. 3. Were there any interesting stories from your time spent on the ground in the Central Valley of Cochabamba that could not be included in this project? If so, what are they? Soon after beginning research, a friend told me that after the Empresa Misicuni built brick homes for relocated Misicuni community residents, some families built adobe huts for themselves and used the brick structures to house their animals. The Empresa Misicuni official responsible for that decision told me that the community members demanded brick homes because they saw them as more modern. The community members I spoke with in 2016 were using their brick homes for themselves, so I was unable to determine whether what my friend had told me was true, nor was I able to determine whether the company official’s account was the full story of how that decision was made. 4. In a way, the story of the Misicuni dam project seems one of high hopes, political success, and disillusionment, given the continuing water supply issues and the displacement of peoples to construct the dam: as you put in the conclusion, “The dam is complete, but the promise unfulfilled.” Is the story of the Misicuni dam in any way indicative of the current political conjuncture in Bolivia and/or Latin America, particularly with the recent recession of the pink tide? I think that is an apt comparison. 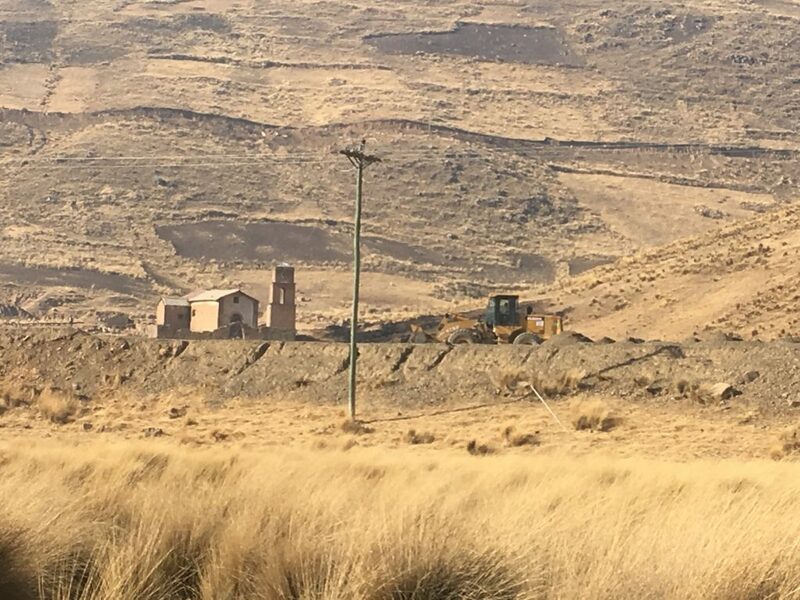 Like the election of current Bolivian president Evo Morales, grassroots organization and mobilization brought the Misicuni dam project into being and, like Morales, the dam failed to deliver on all of its promises. But both Morales and the dam have delivered something, and that something is important even if it’s not all that supporters hoped it would be. Bolivian social movements have an amazing ability to regenerate themselves and to learn from history, so I would not be surprised if there were another resurgence of independent grassroots organization demanding further redistribution of the nation’s wealth, hydraulic and otherwise, in the near future. And the recent election of Andrés Manuel López Obrador to the presidency in Mexico suggests that the Latin American pink tide may be swelling up again, as tides are wont to do. 5. In your use of the concept of vernacular modernism, you are able to place the cross-class efforts to promote, participate in, and democratize the Misicuni dam project within a global frame of modernist development. What is gained from taking this global perspective on the project rather than a regional, national, or Latin American frame? The article’s vernacular modernism frame is inspired by the work of activists and academics across the Global South, especially in India, who have insisted on a more radical, egalitarian, and inclusive modernity that extends its benefits to poor and marginalized people and communities who have too often been dispossessed and exploited to construct a circumscribed modernity for privileged elites. With the introduction of neoliberal economic policies in Latin America in the late twentieth century, the state retreated from its historic commitment to provide basic services to all, even if that promise had never been fully fulfilled, especially when it came to extending water and sanitation to urban shantytowns and peasant communities. This has meant that existing autonomous forms of water provision have persisted, as in the case of peasant irrigators, and new ones have emerged on urban peripheries. 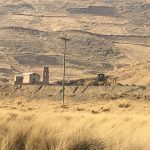 In the name of providing water to all, Evo Morales’s government has challenged the right of autonomous neighborhood and community organizations to continue to control and manage water sources and infrastructure that they have won and built through decades and sometimes centuries of labor and struggle. One of the goals of my work is to illuminate the historical basis of community and neighborhood water property claims. At the same time, I think it is important not to romanticize autonomous modes of water provision. It seems to me that communities and neighborhoods should be able to have their cake and eat it too—that is, maintain or gain the right to autonomous water management and receive state funds and other forms of state support when and in the ways that they need it. Rather than returning to some imagined idyllic communitarian past, a vernacular modernist perspective suggests it is possible to build inclusive and egalitarian presents and futures that meld the most useful aspects of long-standing, usually small-scale methods of organization and provision with newer, often larger-scale approaches. What this will look like in practice will vary from place to place and change over time depending on the needs and desires of residents. 6. If a reader wanted to discuss these issues and use this article in an undergraduate class, are there any other readings (primary or secondary source readings) that you would recommend it be paired with? Any films or documentaries? A related film is Even the Rain, a feature film starring Gael García Bernal about the making of a movie about Christopher Columbus’s conquest of Latin America that is interrupted when its lead actor becomes involved in Cochabamba’s 2000 Water War, the water privatization conflict discussed in the article. A great primary source is the section of ¡Cochabamba! Water War in Bolivia written by Cochabamba Water War leader Oscar Olivera. 7. Read anything good recently? Yes! Mikael Wolfe’s Watering the Revolution (Duke 2017) and Matthew Vitz’s A City on a Lake (Duke 2018), both excellent studies dealing with Mexican water history. 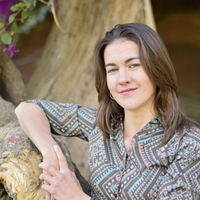 Wolfe looks at the place of water in Mexico’s 1930s-era agrarian reform, and Vitz examines the relationship of water access to the growth of Mexico City in the early twentieth century.